December has arrived! 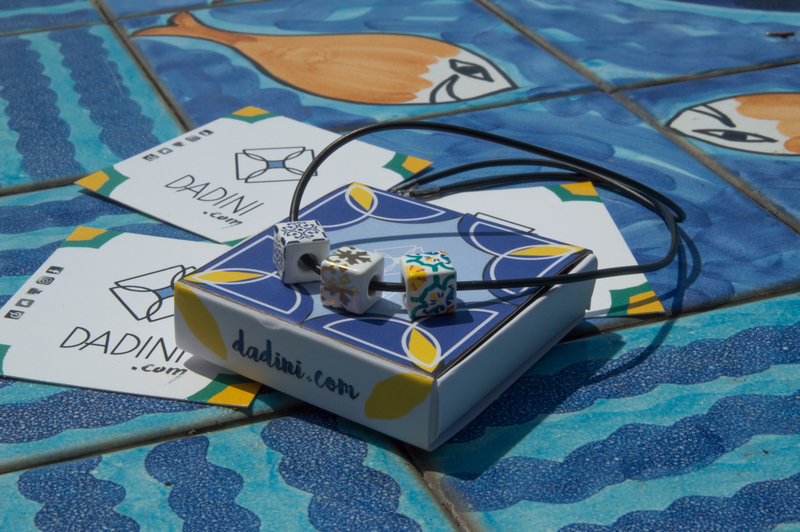 It’s that time of year to make your holiday shopping list, check it twice and find special gifts for your loved ones. 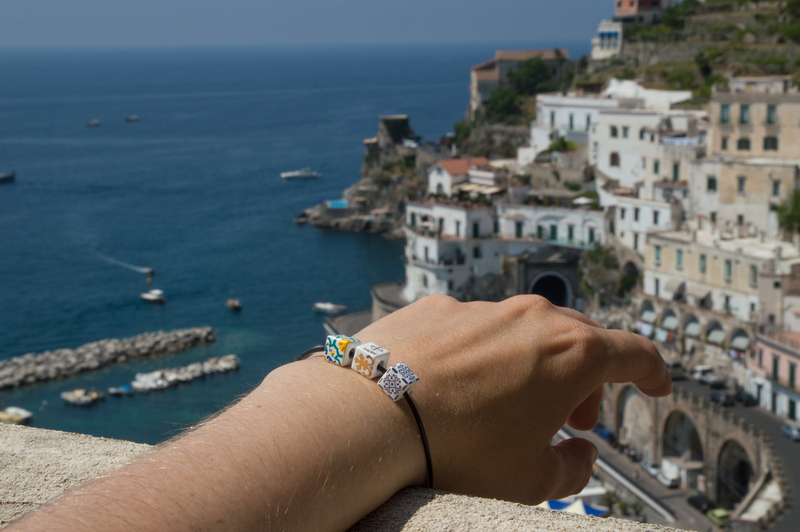 If you have someone on your list who loves the Amalfi Coast, here are a few ideas — big and small — to put a little piece of this beautiful place in Italy under your Christmas tree. If that person is you, then here’s a list you can oh so subtly share to, ahem, get the point across. 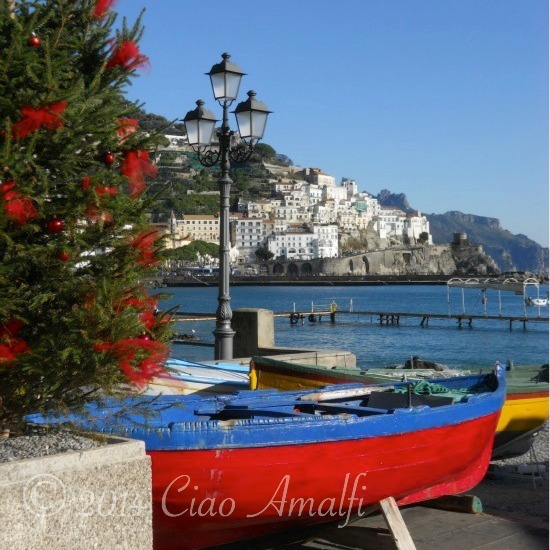 Wishing you a wonderful holiday season from the Amalfi Coast! 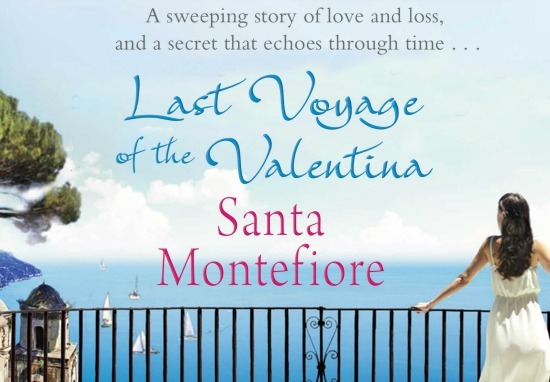 Recently re-released with a gorgeous new cover, Santa Montefiore’s novel Last Voyage of the Valentina is a mesmerizing read for anyone who enjoys getting lost in a good story and a beautiful landscape – all at once. Originally published in 2005, the new release has shot to number 4 on the Sunday Times Bestsellers List. Yes, it’s that great of a story! Find out more about Last Voyage of the Valentina here. 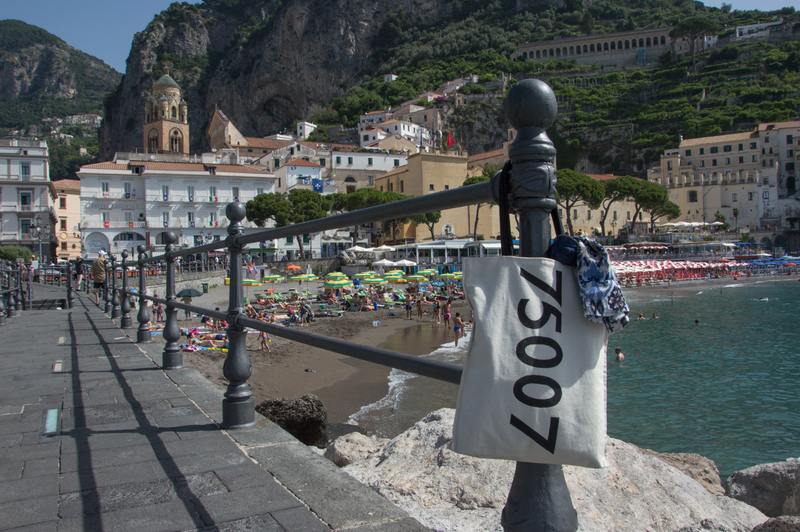 Take a trip along the Amalfi Coast with Chantal Kelly in her lovely book Gelato Sisterhood on the Amalfi Shore. 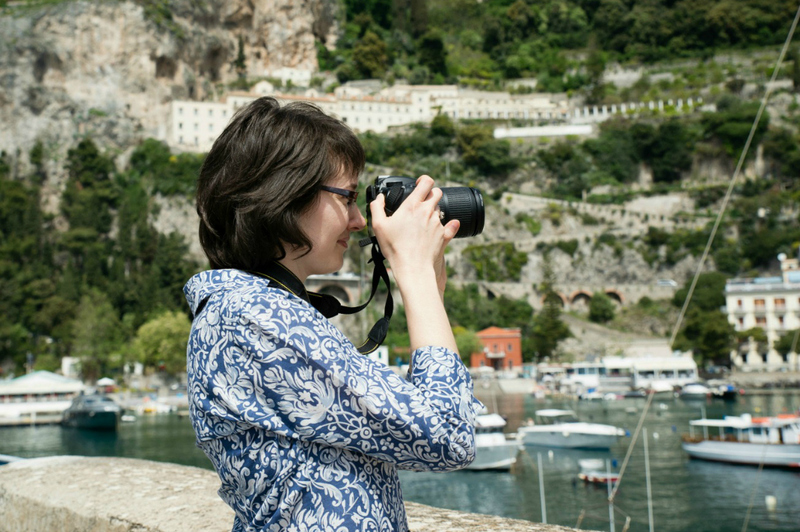 Chantal beautifully interweaves history and sightseeing tips with stories of her travels leading small group tours in Campania and on the Amalfi Coast. 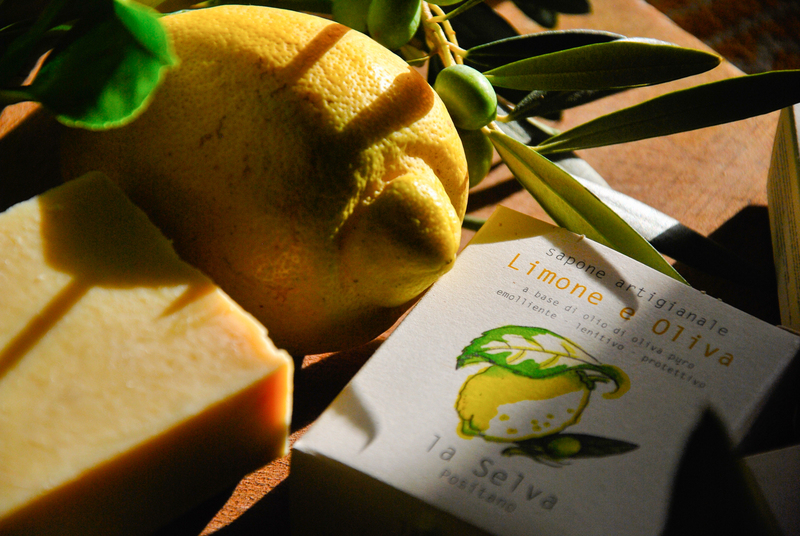 Informative, fun and with plenty of gelato … what’s not to love? 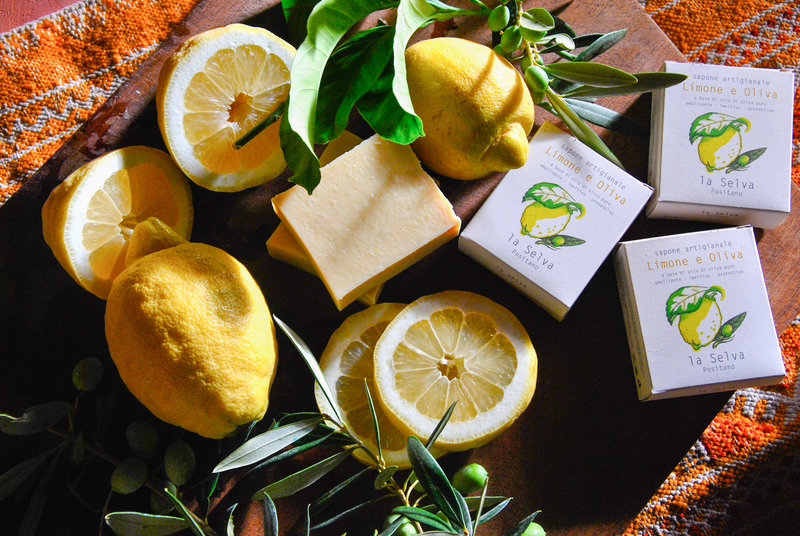 Find out more about Gelato Sisterhood on the Amalfi Shore here. 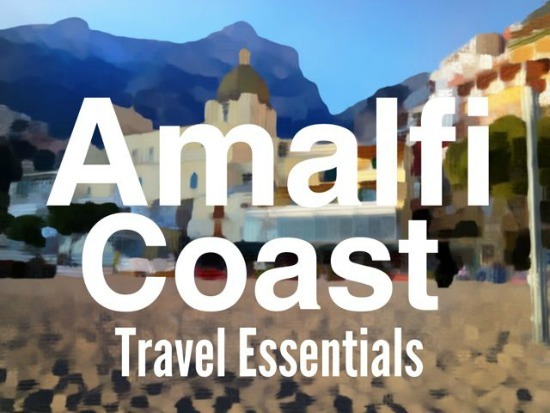 Rome based writer Gillian Longworth McGuire’s handy app Amalfi Coast Travel Essentials is a great stocking stuffer for the Amalfi Coast lovers on your list. A fabulous deal at only $2.99, it’s packed full of great tips for shopping, sightseeing and accommodation on the Amalfi Coast and Capri from an insider. 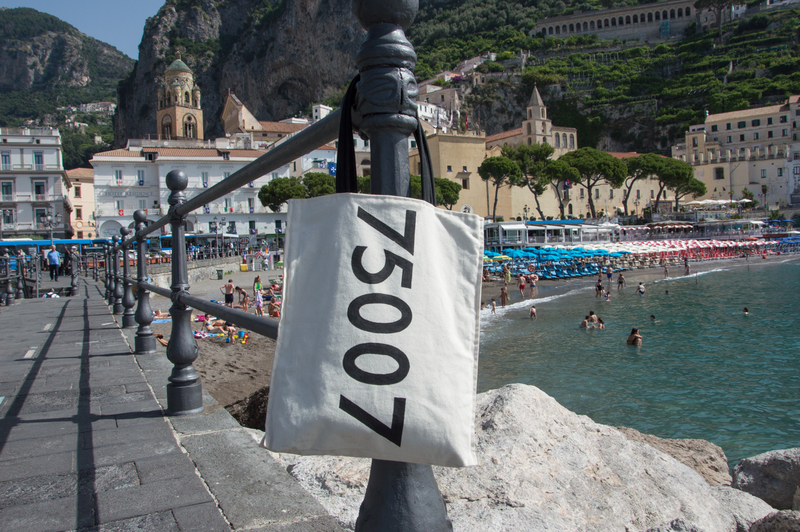 Find out more about the Amalfi Coast Travel Essentials App here. 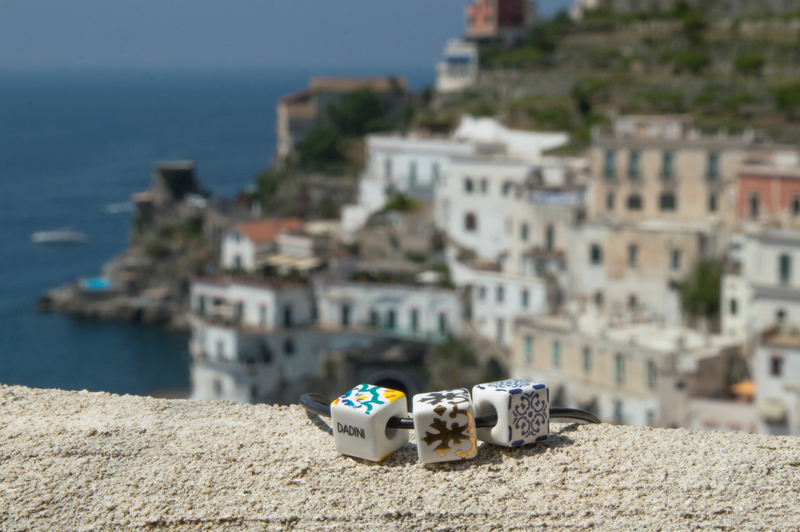 If you have any yoga lovers that you want to spoil with, well, seriously the best present ever, then a yoga retreat on the Amalfi Coast it is! 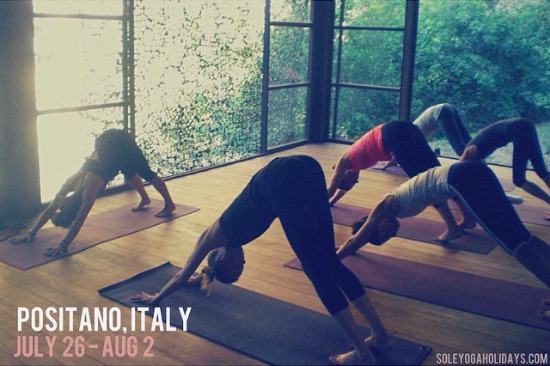 Sole Yoga Holidays has put together a gorgeous yoga retreat based in a glorious spot high in the mountains above Positano. 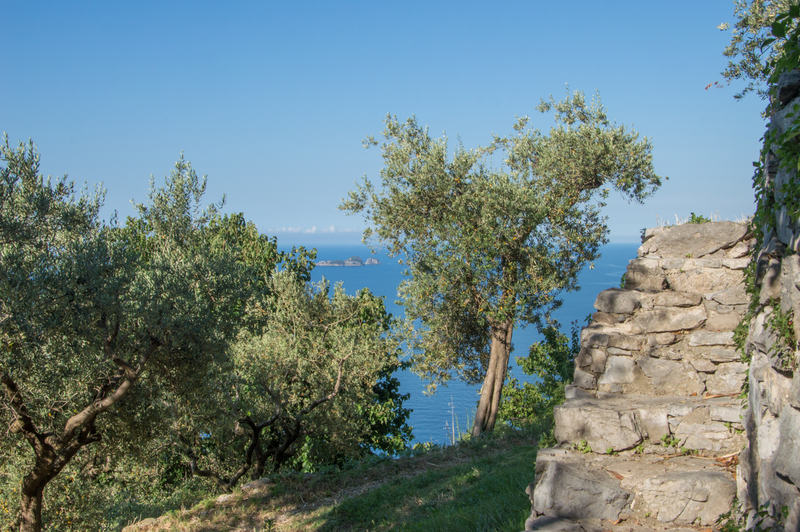 Expand your yoga practice while also exploring the Amalfi Coast and enjoying the finest aspects of area, including locally grown fresh food, hiking on the Amalfi Coast, a boat tour and great fun along the way. 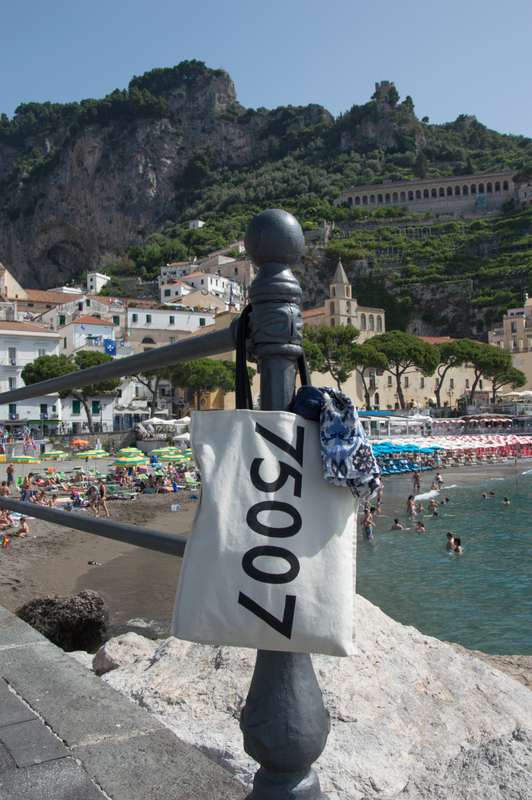 Find out more about the Sole Yoga’s Positano Yoga Retreat here. 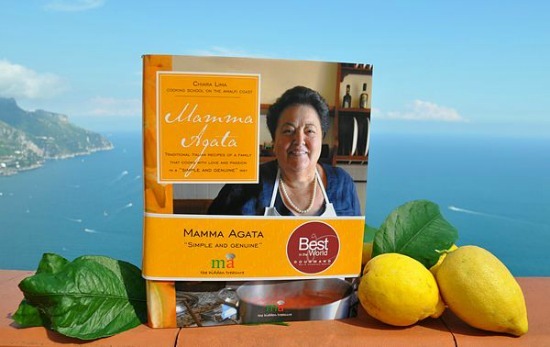 An Amalfi Coast icon and one of the most popular cooking schools, the Mamma Agata Simple and Genuine cookbook is a wonderful resource for recreating the traditional recipes of the Amalfi Coast in your home. All the recipes have photos of the steps making them easy to follow, and the cookbook shares the stories of Mamma Agata and her family as told by her daughter Chiara Lima. 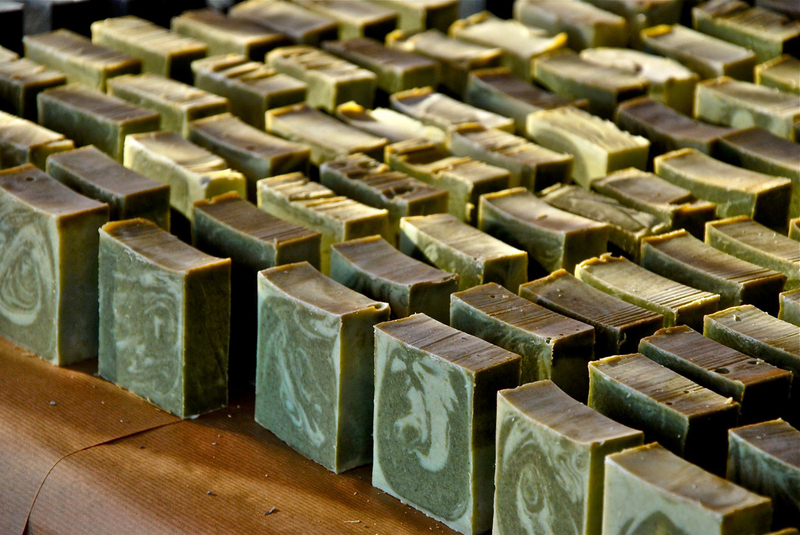 They also sell a selection of beautiful products, too! 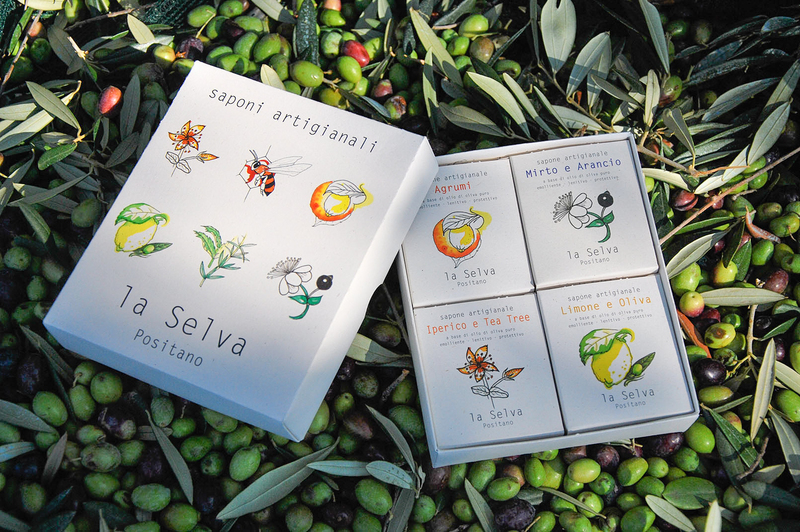 Find out more about the Mamma Agata Cookbook here. Over the quiet winter months many shopowners take advantage of the down time to rearrange, redecorate or repaint their shops to have them looking great when the spring season begins. 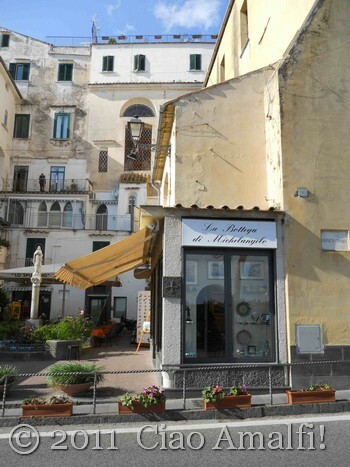 I was very excited to see the work that my friend Michelangelo and his family had done in their lovely shop called Criscuolo Arte e Bijoux. For weeks the windows were covered on the inside with paper, and peeking inside I saw some major redesigning going on. 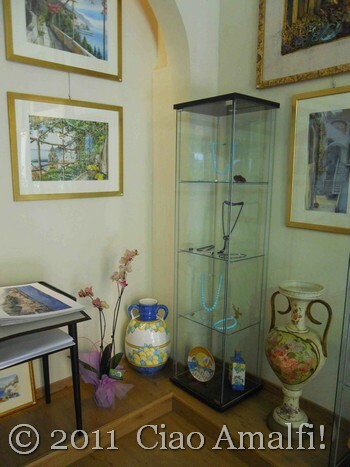 When they reopened this spring, I was thrilled to see that they had created a beautiful gallery space highlighting the work of the artist Luca Mancini and with beautiful jewelry and ceramics dotted throughout the store. On a sunny day recently, I stopped by and snapped a few photos to share. Luca Mancini is an artist from the province of Asti in northwest Italy who has lived and worked extensively on the Amalfi Coast. 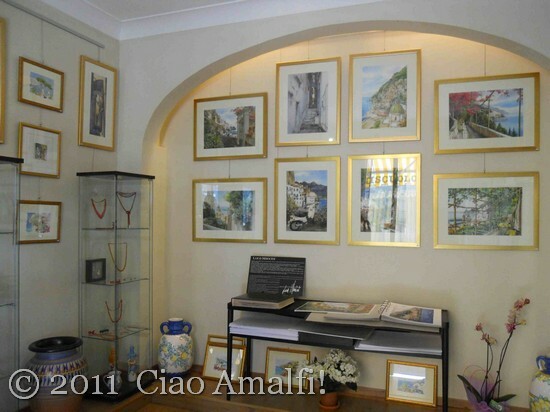 With fine detail and intense colors, his paintings really do capture the beauty of the Amalfi Coast. His stylistic range is quite varied, from a dreamy and hazy feel to paintings so finely detailed I had to look closely to make sure they weren’t phtoographs. I found the jewelry displays quite beautiful and effective in their simplicity. I loved how the vibrant coral picked up the colors of Mancini’s paintings on display around. 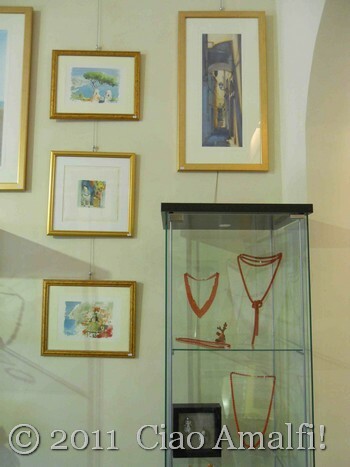 The shop displays paintings by Luca Mancini and reproductions of his work carried out under his careful control. 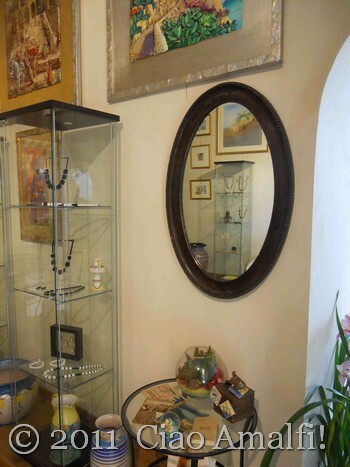 There is also a selection of jewelry and ceramics on display throughout the shop and in the window displays. 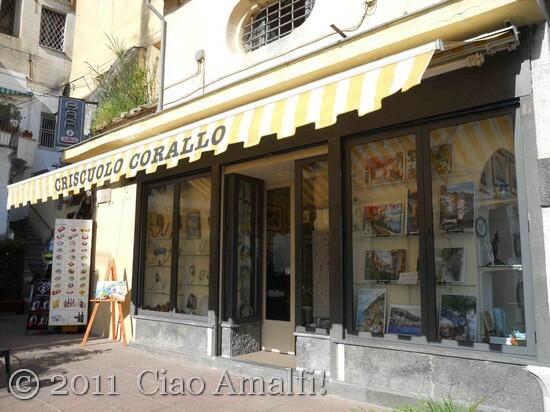 I love how memorabilia of Amalfi has been incorporated into the displays, including historic photos, cameras, postcards and some early printed publications about Amalfi. 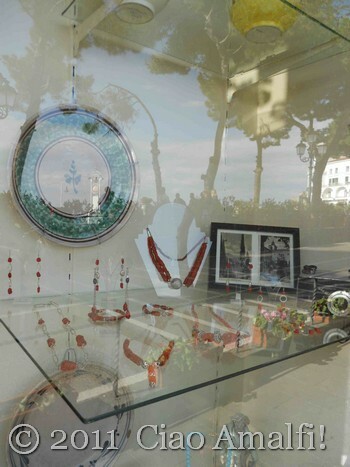 You’ll find Criscuolo Arte e Bijoux on the main road as it goes through Amalfi in the pretty little Largo Scario with a fountain. Warm wishes to Michelangelo and his lovely family for success in their new endeavor!